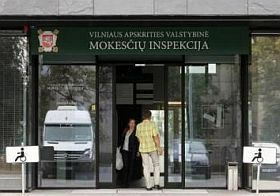 Lithuania's State Tax Inspectorate has launched a thorough scrutiny of companies and shareholders of Vilniaus Prekyba (Vilnius Trade) group and MG Baltic concern. The decision was taken in light of a proposal from the inspectorate's task force, which had analyzed earlier checks of the operations of both groups, to apply the strictest form of control – integrated tax inspections, the inspectorate said LETA/BNS. The inspectorate last year said it was conducting checks of MG Baltic president and sole shareholder, Darius Mockus, and four companies of the concern. Since the summer of 2015, tax inspectors also checked possible tax evasion schemes in Vilniaus Prekyba, one of Lithuania's biggest business groups. Dainoras Bradauskas was sacked from the inspectorate's chief in early 2017 over unlawful influence upon the probes – he provided MG Baltic vice-president Raimondas Kurlianskis with information about tax checks of shareholders of Vilniaus Prekyba and VP group. In the biggest political corruption probe of 2016, Kurlianskis is suspected of bribing the Liberal Movement's former leader Eligijus Masiulis.